We are all passionate fans of both the Rebels, Rising, and Rugby in general. We’re excited to share our thoughts on what we saw this season. But first, a recap. 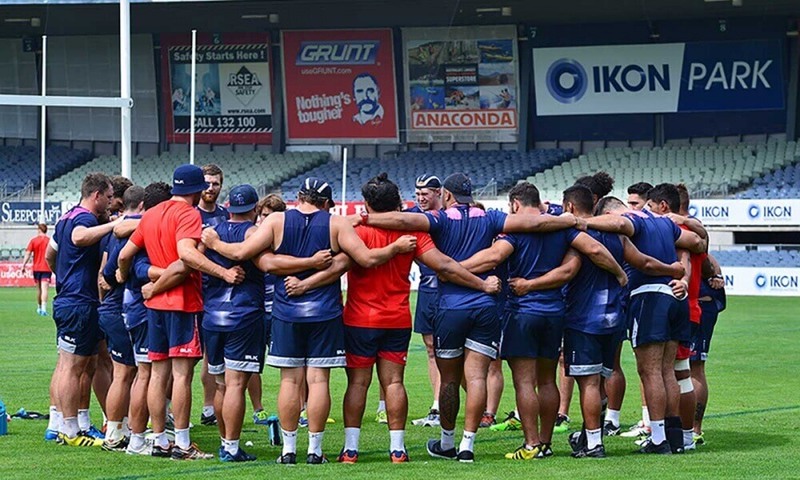 The season preview highlighted a very successfully 2015, but it was time for the Rebels to now deliver. Despite some key losses, the Rebels had made some astute recruitment in the off season. The stage was set to improve the ladder position, and even push for finals. Season 2015, in a nutshell. The end of the 2015 season saw eleven players depart the club, including captain, Scott Higginbotham. The Rebels’ recruited some experienced replacements in Wallaby, James Hanson, former All Black, Adam Thomson and, Irish International, Jamie Hagan. However, the long-term plan is to develop young Australian talent, with a view on local Victorian players. In some of the best news of the year, two of those younger players were locals; Sione Tuipolotu and Rob Leota. 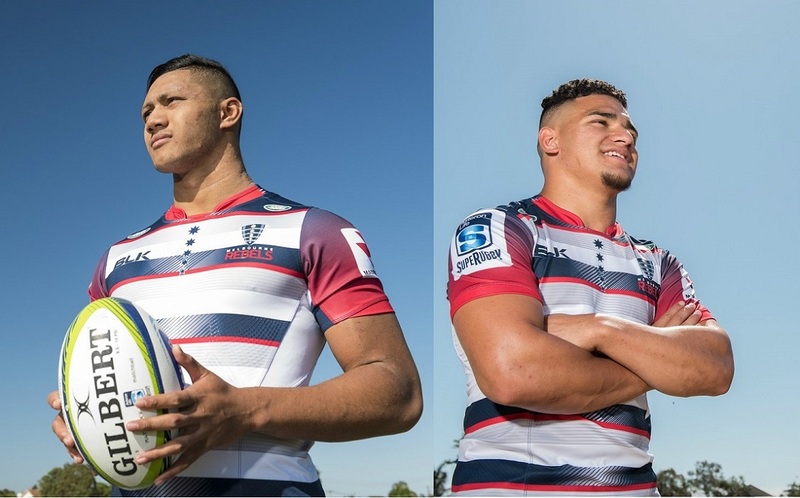 Developed in the Rebels elite pathway program, they become the first local players to sign with the Rebels. In a another success story for the NRC, another 2015 players signed with the Rebels – Reece Hodge. Sione and Rob – Victorian born Rebels. The Rebels found themselves with one of the toughest draws travel wise to start the season. In the first four rounds they played games in Perth, Pretoria, Melbourne and Tokyo. Despite the schedule and mounting injury toll, The Rebels won three of the four games for their best ever start to a season. After defeating the Cheetahs in round nine of the competition, the Rebels found themselves at the top of the Australian conference with five wins from eight games. Unfortunately, their stay at the top of the ladder would only last another week. 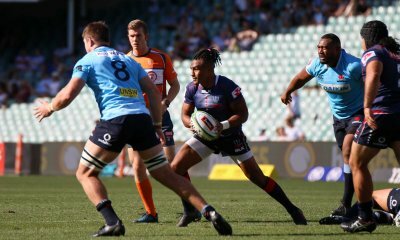 A mounting injury crisis and a tougher draw meant the Rebels would only record two wins in the second half of the season, to finish third in the Australian Conference and 12th overall. Crowd attendance was slightly down on the previous years. Whilst over 13,000 fans turned up to watch the Rebels v Hurricanes, an average of 10,500 fans turned up to all seven home matches. Off field, the Rebels organisation went through significant change; the club returned to a private ownership model. The Imperium Group, headed by Andrew Cox, and together with Melbourne businessman Peter Sidwell, took a majority stake in the company. In a heavily front loaded arrangement, the ARU will continue to provide additional funding to the Rebels for a total period of five years to help ensure the club’s future. Peter Sidwell and Andrew Cox – new owners of the Melbourne Rebels. RaboDirect, the foundation naming rights sponsor, ceased their relationship with the Rebels at the end of the 2015 season. Whilst some minor sponsorship deal has been announced, the Rebels had no major sponsor in 2016. And to date, no major sponsor has been announced for 2017. 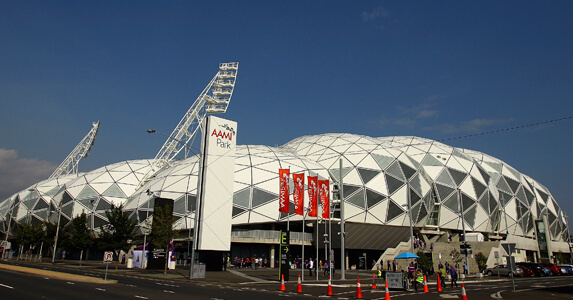 The Rebels found a new home, with a move of their training base and operations from the facilities at Carlton’s Ikon Park to AAMI Park. All Clubs rely on a strong membership base, and the Rebels jostle for space in a tight market. In a positive move, membership numbers have increased to 9276 in 2016. Included in the figures are the free memberships gifted to all Victorian junior players who have registered with a local club. Of note is the growth in the premium membership package, known as the Weary Dunlop Club. Membership numbers of the $2000 a year package doubled in 2016. All in all, 2016 has been a mixed bag of results, on and off the field. Many thanks to all the authors for a good summary of what happened, where we are at and, what the future may hold. For me the highlight was beating the Tahs on their own midden – sweet. The lowlights were the blowouts. With the exception of the Crusaders game, these were usually confined to one half only with a gallant second half come backs or at least some competitiveness, but falling short anyway. The lack of loosing bonus points deeply impacted the final ranking. For me the worst was against the Blues, a very beatable team as we showed in the second half, but our defence was woeful in the first half. I felt this one especially having coughed up to go on the Auckland tour ( which I still managed to thoroughly enjoy). The defensive lapses showed up that there is something not right in the coaching going on. 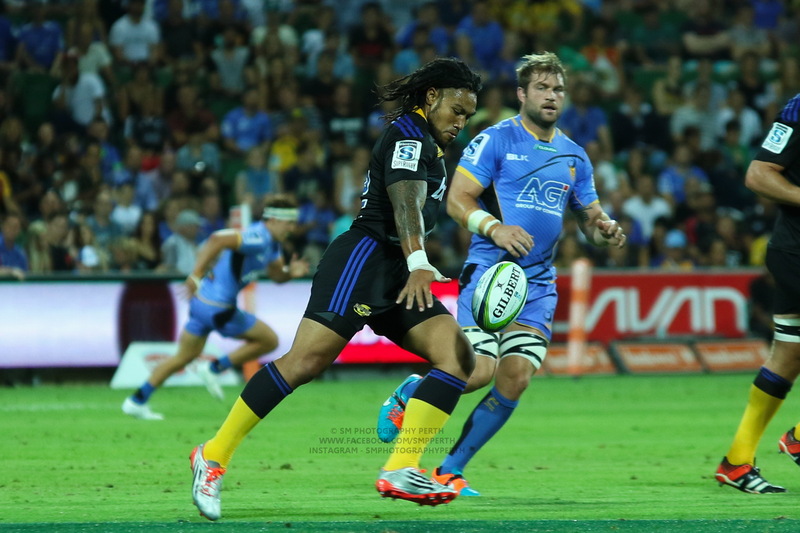 – Amanaki Mafi is a good get – does this mean that Thomson is on the way out? – 2017 will be make or break for both Stirzaker and Jack D.
On the really positive side I think that Andrew Cox and his team are great and will do good things. The deal they have means that the Rebels are probably the most financially assured franchise in the Australian conference for the next 4 years. But the team needs to win more if we are going to get the crowds that will assure long term viability. I’ve got my season ticket for the Rising season and looking forward to big things this year. It may be overly simplistic, but it real does feel like next season will come down to the success or failure of Stirzaker and Debreczeni. The talent around them is shaping up to be better than ever, particularly in the back row, where the quartet of McMahon, Mafi, Reid and Fainga’a is probably the best in Australia and one of the best in the comp overall. The backline outside of those two also looks more explosive with the addition of Korobetei, a second season for Hodge and the potential development of Tuipulotu and Placid. So it really does seem to come back to those two, coming into last season there was a lot of positivity around the pair, but given the season they had, the pressure really seems to be on. i think it is extremely unfair and to label Cooper with Beale and O’Connor. I am a critic of Cooper but aside from some misdemeanours a long, long time ago his behaviour has been fine. Very harsh to label him along with the other two*. Their #10 still has great potential so I wouldn’t think Cooper is the right fit for that reason alone. * To be fair to Beale, he was battling some demons and has turned his career and life around. The 2017 Kurtley Beale would be a great signing for any side anywhere in the world. Rebels need to deliver something soon. 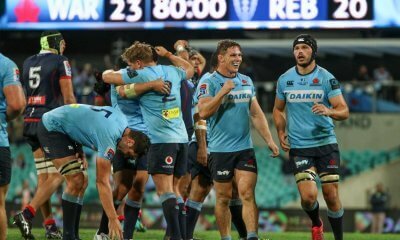 I think the club has great potential and has a small-fanbase which provides a good atmosphere (best in Australia in my opinion though I compare that to the Waratahs) and massive growth potential. Name me the last successful, well functioning team where Quade Cooper was a pivotal member of the side? I can name you 3 or 4 that were underwhelming, ineffective and dysfunctional. I would go nowhere near the guy. As I said, I am a critic of Cooper and I would not sign him. The answer to your question is 2011. That does not mean his character or temperament is similar to O’Connor or the Beale of a few years ago. News sites, wikipedia and the Rebels site are unhelpful. What is the story with Tamati Ellison? Has he retired, been ousted, or decided to go somewhere else? Rebels always played better when he was on the park. Not a scoring machine but someone who set up teammates.Good tackler too. His out of contract, ARU have restrictions on how long an overseas player can stay with a club so I think it’s just been called time. Hoping he stays in Melbourne and enjoys life after rugby but if he continue’s his career elsewhere as well no one will complain and we will wish him all the best.